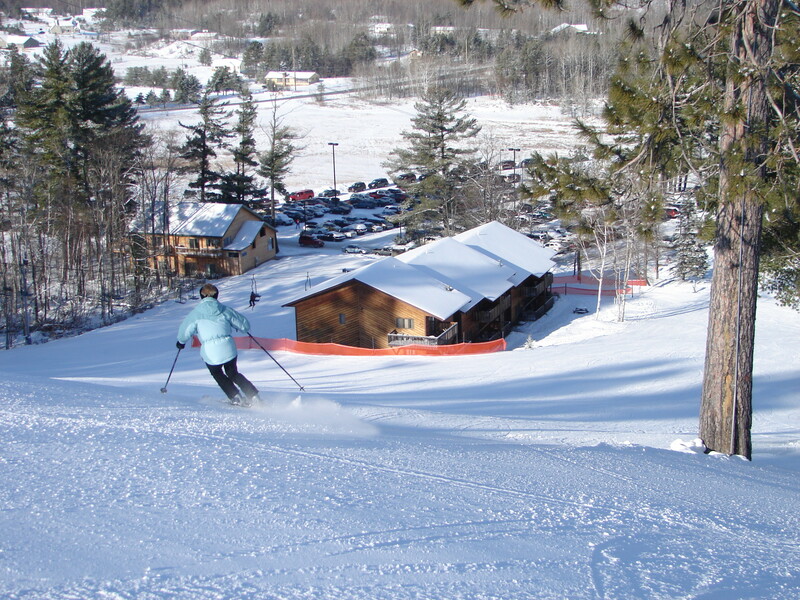 Pine Mountain is located in Michigan’s scenic, rugged Upper Peninsula (UP) overlooking the city of Iron Mountain. It first opened in 1939 when Fred Pabst began the winter recreation area with a handful of runs and two rope tows. The ski area offers a 500-foot vertical drop, with hotel and slopeside condo units spread out over 160 acres. There are 27 trails and slopes, and three terrain parks serviced by one triple and two double chairlifts and two surface tows in the beginner area. Pine Mountain is also home to the Kiwanis Ski Club jumping tournament that draws the best jumpers worldwide every year. Jump Weekend is where the US jumping record was set at 140 meters/459 feet and is still held here. Great dining options are available at Famers, the Sitzmark and Spruce Cafe. Enjoy one of the Stay and Ski Packages that includge great family rates. On site rentals and lessons with PSIA certified instructors are available to make Pine Mountain a great escape. Get Snow Reports, Powder Alerts & Powder Forecasts from Pine Mountain straight to your inbox!